I can’t believe it….we made it-we drove to and from Florida and we made it down there with all the kids and made it home with all the kids! We decided to leave at about 7:00 pm on Thursday night and Jim drove all the way until 4:30 am the following morning. I drove for a few hours while Jim tried to snooze for a bit in the car and then he finished up the last bit. We made it to Disney in 17 hours…IT WAS SO WORTH IT!!! We also made it back in 17 hours and did the same routine. IF I was just going on a couple’s trip, I would fly, but paying airfare for 6 people to Florida will no longer be an option for the Weaver family….I know we can do it and it saved us about $1,000. Nice!! We had a FANTASTIC trip with GREAT friends! I think I could honestly do Disney three times a year (I don’t need to go to the parks everyday), but I absolutely love it. We were so lucky with the weather also. Yes, it rained a little more than my liking, but it didn’t slow us down at all and the cloudiness everyday kept the weather a lot more manageable. Jim and I are looking forward to spending some time away (a little Vegas trip), but I am going through my typical, “oh no, we shouldn’t go” phase which makes Jim crazy, but he handles it well! I have been getting emails that you have been doing the workouts! I love it!! Please keep emailing me and telling me what you like and don’t like! I am looking forward to seeing a lot of you again next week….I should be getting cleared to workout tomorrow….fingers crossed!! Disney got me in good walking shape, but I am little nervous I’m not going to be able to walk (or sit down on the toilet) after I actually start doing the workouts with you again. I’m going to need you guys to “pick me up”!! Circuit- Let’s get sweaty! This workout you will repeat 2x! Set your timer for 50 seconds with a 10 second break. Of course, if you are new or just getting back into working out you can shorten the workout and if you need a little bit more of a challenge you can extend the interval to 60 seconds. Her knee is a little too far-stay even with hip! 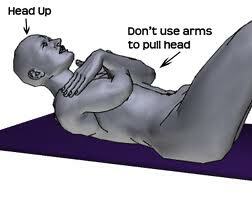 Tilt your pelvis towards the ceiling. Start in X and this is how you end…back down to X! Creepy picture, keep chin up! Hold your arms straight up for challenge! 12- X Jumps- touch the floor each time…don’t cheat!! After you have completed the circuit once…you need to complete the PushUp Challenge. The pushup challenge is doing as many pushups that you can in 30 seconds. Repeat that 3 times. Again, if you need to do the push ups on your knees, that is fine, but get as many as you can!! Bring a friend next week! !